I obsess about writing, even about when, where and on what I write. I feel anxious if I leave home without the tools to write at the drop of a thought. For me this means a portable journal–stitched or bound so I don’t lose pages–a fast pen/pencil and a place to sit. I write on my lap. I do keep a few of my oft-touted index cards in my purse, a back-up for those moments when I don’t want to drag the journal into view, like in church. Yes, I take notes and jot ideas or images in church. Shhh–don’t tell Reverend Lydia. What intrigues me is how often I alter my basic formula. Lately, I’ve been using pencil instead of pen and keeping my list of books read or to read in the back of the journal. Now I write only on the left-hand page, leaving the right for lists, addresses, or quotes! I love quotes from other writers and often use that spare page for these delicious word bonbons. 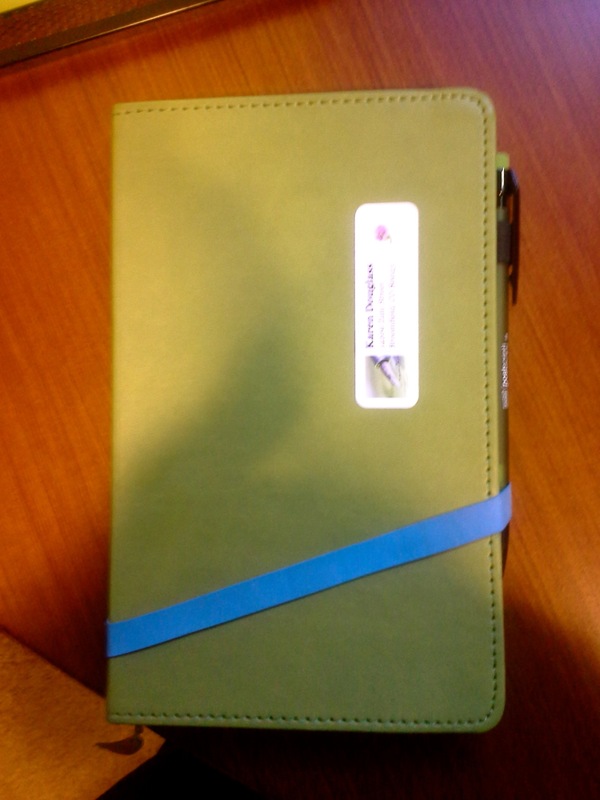 And the secret delight–I fill a journal faster this way and can start a new one. I welcome a new journal like clean sheets or a full tank of gas. If you don’t already have a good journal process, get one. And consider these three elements: Keep it close, cheap and comfortable. If it’s not portable, you won’t have it when you need it, so keep it close. If it’s too fancy or expensive, you’ll restrict what you do with it, maybe ration how much you write, so keep it cheap. I stock up when the ones I like go on sale. And by all means, keep it comfortable. Pay attention to your posture, your hands, your eyes. If you leave a writing session with a crooked spine, a pain in the neck and cramped fingers, something needs to change. That’s one reason I now use the left page–reaching to the right page puts a slight stress on my shoulder and after a while I feel it.